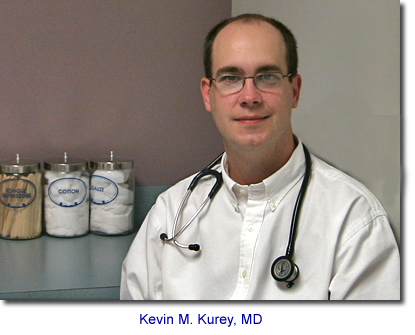 Dr. Kevin Kurey is a board-certified Family Physician practicing in McDonough, Georgia. A graduate of Marshall University School of Medicine in 1995, Dr. Kurey completed a Residency in Family Practice at Marshall University in 1998. When Henry County local and longtime physician Dr. Joseph Blissit retired in 2000, Dr. Kurey was chosen to take over his practice. The excellent and special care that Dr. Blissit was known to extend to Henry County patients continues in the hands of Dr. Kurey. Dr. Kurey initially passed the American Academy of Family Practice board certification examination in 1998 and has since been recertified in 2005. Dr. Kurey is committed to the practice of medicine for everyone. He currently provides care of adults of all ages as well as children aged two and older. Dr. Kurey's office accepts a large variety of insurance plans. Click on the 'Insurance' link above for an abbreviated list of Dr. Kurey's insurance affiliations. The office is located in the Henry County Hospital Diagnostic Center in McDonough, Georgia. Click on the 'Driving' link above for an easy-to-follow map. 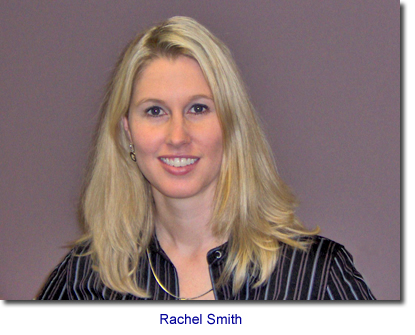 Rachel Smith is a Certified Nurse Practitioner. A graduate of Georgia Baptist College of Nursing, Rachel worked as an Emergency Nurse at Children's Healthcare of Atlanta on the Egleston Campus. Rachel graduated from Georgia State University with a Masters of Science. While in school, she also attended Vickie Milazzo Institute and became a Certified Legal Nurse Consultant. Rachel enjoys providing care to patients of all ages.